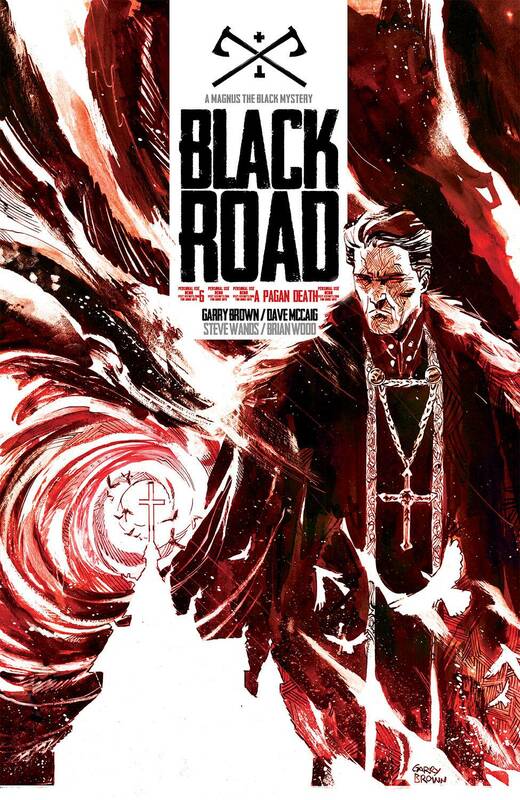 NEW STORY ARC BLACK ROAD RETURNS! Magnus stalks the mysterious Christian compound on the northern coast, and the full extent of Julia's treachery becomes known. Religious conversions are historically bloody affairs, but this one's looking especially bad.